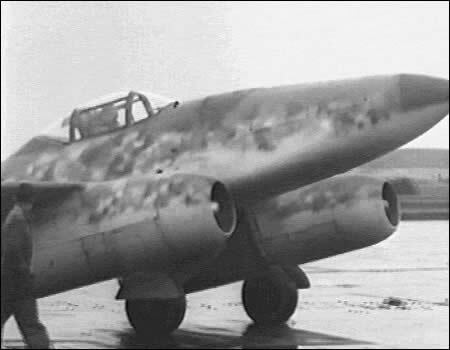 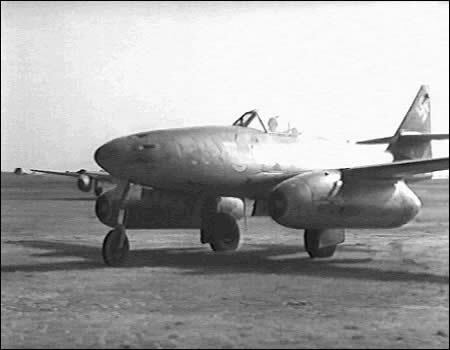 The first ever operational jet (Messerschmitt 262A) first flew in 1941, but was not in production until 1943. 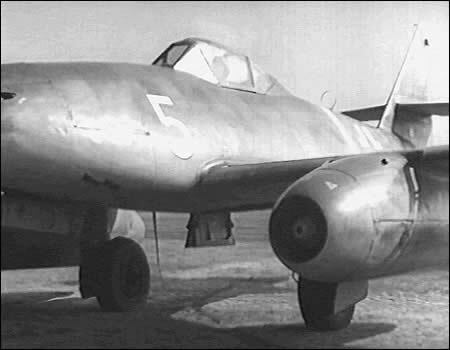 It had a top speed of 540 mph and was armed with 4 x 30mm cannons in the nose. 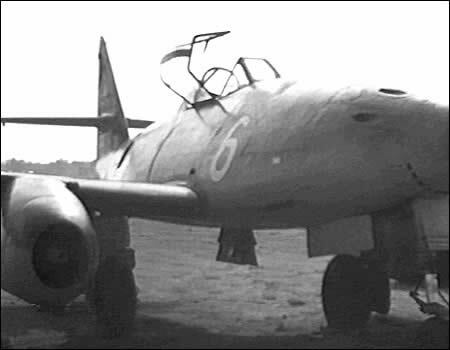 Able to carry 2 under-slung bombs, it luckily came too later to have a serious effect on the war.